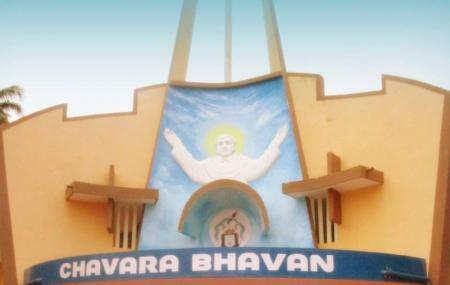 If you are looking for an isolated place to seek peace of mind, then visit Chavara Bhavan Shrine. Located in Kainakary village that is slightly away from Alleppey centre, this shrine is dedicated to Kuriakose Elias Chavara, a famous Catholic Pastor. He was the co-founder and the first Prior General of the first congregation for men in the Syro-Malabar Catholic Church. The highlighted feature of this shrine is the beacon of light which is around 250 years old. The native house of Kuriakose Elias Chavara that is preserved in its original state is another highlighted feature of this place. Every year, thousands of followers come over here to offer their prayers. Another best fact about this place is the village Kainakary is it is surrounded by water. Hence, the only access to reach this place is via boat. The serenity of the place and the calm ambience makes this place perfect to spend some alone time. Maintain tranquillity inside the spiritual resort. How popular is Chavara Bhavan? People normally club together St. Marys Syro-Malabar Catholic Forane Church, Champakulam and Kerala Kayaking while planning their visit to Chavara Bhavan. Verry peaceful place situated in the middle of 3 paddy fields, evening walk through the road is very satisfying. Loved this place .It has a peaceful vibe.fr.chavara's birth place is preserved here. its a small place.